Our owners are you, our members. This simple, important fact makes all the difference. We put you first. We take a singular interest in your financial success. We want to know your name and help you reach your financial goals. We want to return profits to you in the form of higher interest rates, lower loan rates and better services. And we deliver uncompromising service, convenience and a complete offering of competitive financial products and services. While we offer many financial services similar to those offered by commercial banks, we focus our attention on a limited geographical area and contribute to the communities we serve. We invite you to browse our site and experience the URW difference. Membership Makes All the Difference! 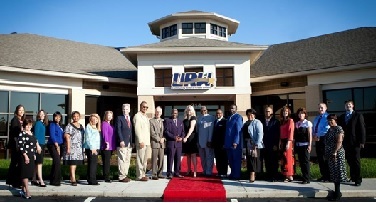 URW Community Federal will always be dedicated to making your dreams come true. A wonderful sense of community awaits, where all are greeted as welcome members and become cherished friends.